Hello ! My name is Murdina Baillie of M.A.M.Childminding Service. I started childminding August 2010 and absolutely love it,should have done it years ago!!!! This is a smoke-free home and very pet friendly. I have 3 children,aged 13,17 and 25 combined with the wealth of experience 8 years of childminding can bring. -I am a member of the ScottishChildMinderAssociation,registered with the Care Inspectorate and have Disclosure Scotland in place. -I am registered with ICO(International Commissioner's Office)-Register of Data Controllers. -My service has been inspected by the Care Inspectorate and has been graded 5. -I have completed Child Protection Awareness Training with the N.S.P.C.C. -I am fully trained in Paediatric First Aid. -My establishment has passed Food Hygiene Information Scheme set by Food Standards Agency. -I have completed the Youth Sport Trust..Top Tots/Start to Play programme. -SCMA.Cont.Prof.Development..Working with ADHD and the Autistic Spectrum. SCMA.Cont.Prof.Development..Participation in Practice Level 2. Childcare.co.uk.Cont.Prof.Development..Risk Taking in the Early Years. I am available to work 8am till 6pm Mon to Thurs and 8am till 3pm Fri. I can drop off and pick up from Abercromby Primary and Nursery. Below are the latest reviews for Murdina. Please note that reviews represent the subjective opinions of other Childcare.co.uk users and not of Childcare.co.uk. Parents must carry out their own checks and references on childcare providers to ensure that they are completely happy before enaging in the use of their services. My two children have been going to Murdina’s after school for approx 3 years. My eldest child is now at high school and no longer goes but my youngest still goes to Murdina. They have both loved going and both think Murdina is amazing, and so do I. She makes the kids, and I, feel welcome and spends time playing with them every day. When I go to pick my youngest son up they are always doing something fun together. I always find Murdina the same way; happy, bubbly, full of enthusiasm about what the kids have been doing and more importantly she is consistently like this. My older son says “Murdina was brilliant and made the best of every activity we did with her, she had great ideas and was so much fun”. Murdina makes the children in her care feel special and I have been able to trust her completely with my children. She has never given me any cause for doubt or concern and always goes above and beyond to help me. Murdina’s house is always clean and tidy and she has lots of toys, books and games etc for the kids to play with. She usually takes the kids outside in the fresh air every day to the park which my kids loved. I cannot rate her highly enough and I would recommend her to anyone looking for a childminder. Your children will benefit from any time spent with Murdina. My daughter no longer goes to Murdina, following our house move, but was one of her regular children for over 3 years and absolutely loved it. Murdina made my daughter feel like one of the family, supported her like a second Mum and ensured her time there was full of fun and love. It was lovely to receive regular photos from Murdina, to see how much fun the children were having in the various activities and they are great memories to look back on for my daughter. I would highly recommend her childminding services to anyone. When my working situation changed and I had to organise childcare again for my daughter there was no other choice: it had to be Murdina. My daughter would not have gone to anyone else so I was delighted when Murdina was able to take her on. My daughter had gone to Murdina years before for pre-school child care and over the 5 or so years we did not use her my daughter had not forgotten how wonderful Murdina is. In those 5 or so years, my daughter would still speak of her often and give her hugs in the playground. How wonderful it is to be able to send your child to someone so highly thought of by your child. It's kind of like sending your child to their favourite Aunty. 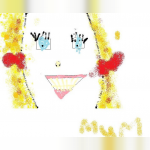 "Murdina is the best childminder anyone could ever ask for. She always makes me smile and laugh. She is so kind and careing it's like she is our own mother. I always feel happy around Murdina. :)"
Murdina is a genuinely kind and caring person who has just been wonderful for my daughter, helping her develop and grow, conquer some fears and just bringing out the absolute best in her. Murdina provided my child with a safe, happy and fun environment during her time as his child minder. She is extremely knowledgeable in the physical, emotional and individual needs of children. My son suffers from separation anxiety and this was a non issues whilst in the care of Murdina. She provided him with the comfort he needed and made him a more confident individual. I was amazed that he did not cry, even once, when I was leaving - all he needed was a few extra mummy cuddles. He still refers to Murdina as his "best friend" and asks about her often. A change in career meant that I no longer needed childcare, however I would highly recommend Murdina and would happily have her care for my child in the future, if needed. She is trustworthy, kind and easy to talk to. She also has a great professional attitude, ensuring that the correct paper work has been read and filled out by parents, as well as making sure we understand what everything means. Her home is beautiful, clean and safe. The garden is secure for outdoor play. Her family are lovely, as are her pets. Murdina was very accommodating to the hours that I required her services. She is so helpful and I wouldn't have managed to continue working if it wasn't for her.